Good evening! We finished our regular season with a great record of 18-12. 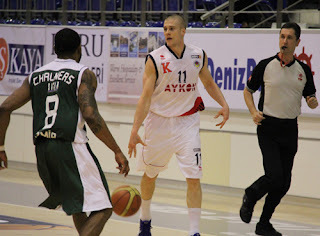 We had our last game of the season vs Karsiyaka on Saturday. We also had a make up game down in Antalya on Tuesday. Thus ending our season with an 18-12 record. 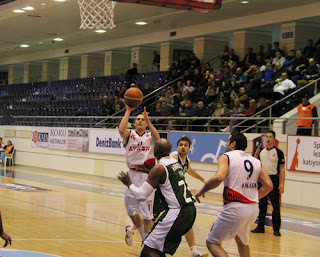 In the Karsiyaka game we ended up winning 81-64. It was a great win for our club. I finished the game with 14 points (3-4 2fg, 2-6 3fg, 2-2 ft), 10 assists, and 1 rebound. 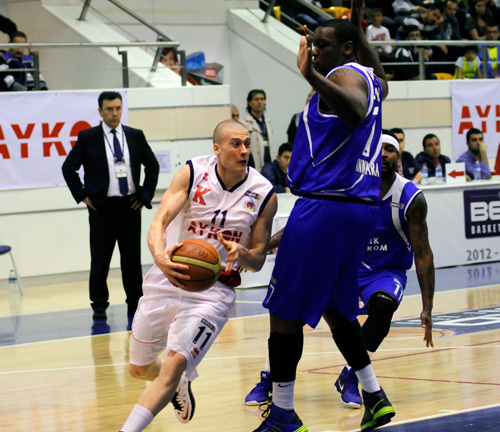 We followed that up with a win down in Antalya 103-73. I ended with 10 points (1-4 2fg, 1-4 3fg, 5-6 ft), 14 assists, and 1 rebound. Good afternoon! It is an absolutely beautiful day here in Ankara. We have had 2 games since I last posted. We have been on the road 5 days and then I spent another night in Istanbul after the game. Haven't been around my computer at all. 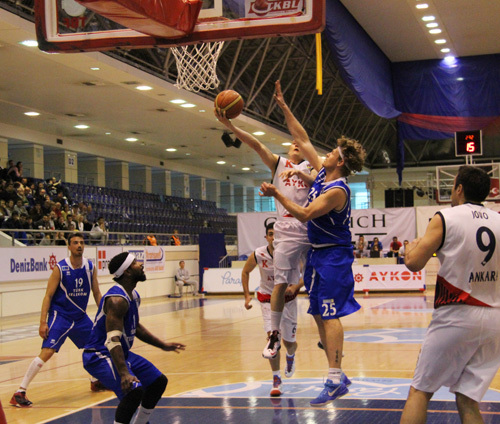 Two weeks ago we played on the road in Mersin and came away with a 94-91 win. I had 16 points (5-8 2fg, 2-5 3fg), 9 assists, and 1 rebound. That put our record to 16-12. Then we flew directly to Istanbul after the game on Wednesday because we played Besiktas on Saturday. The Besiktas game was crazy. We lost in double overtime 110-105. Both teams were battling! There were buzzer beaters, clutch shots, and intensity throughout the entire game. I ended up playing 48 minutes that game and was exhausted afterwards. I had a nice double double with 20 points (5-7 2fg, 2-6 3fg, 4-6 ft), 16 assists, and 5 rebounds. That put our record at 16-13 with one game to play in the regular season. Our next game is at home vs Karsiyaka on Saturday. It will be the last game before playoffs start. We have 7th place locked up no matter what, so we will be the 7th seed in playoffs playing the number 2 seed. Happy Sunday everyone! Since I last blogged we have had 2 games. 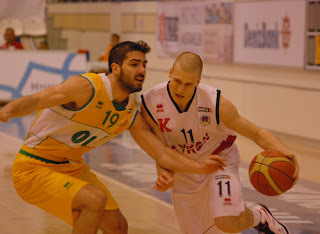 One on the road vs Erdimer and the other at home last night vs Turk Telekom. We one both games extending our winning streak to 3. The game vs Erdimer came down to the wire. Our team pulled out a win 84-82. I ended the game with 15 points (3-5 2fg, 3-4 3fg, 0-2 ft), 6 rebounds, and 5 assists. 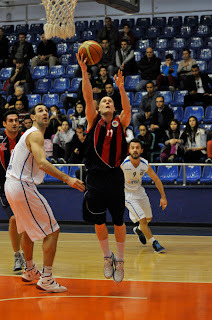 That put our record to 14-12 heading into last nights game vs Turk Telekom. Last night we came away with a 84-77 win. We were in control most of the game leading by as many as 20. However Turk Telekom fought back hard in the 4th quarter and made it a 7 point game at the end. I had 15 points (1-5 2fg, 3-4 3fg, 4-7 ft), 9 assists, and 1 rebound. After that game we have won 3 in a row and our record is 15-12. We have 3 games left of the season and then playoffs start. Our last 3 games of the year are: 1. Mersin on the road. 2. Beskitas on the road. 3. Karsiyaka at home for the last game of the year. Looking forward to finishing the season strong and head into playoffs with a good mind set. Driving & he was arguing there was no foul haha! Good afternoon from Ankara, Turkey! We have had 2 games since I last posted. Our game vs Efes two weeks ago I did not play in. I had an injury to my foot that kept me out of the line up. We ended up losing that game. Our next game was last Saturday vs Olin at home. I suited up and play in that game. We came away with a 89-85 win. It was a great win for us to give us some breathing room from the 8th place team. We are currently in 7th place and two games ahead of the 8th place spot. Last game I had 13 points (4-7 2fg, 1-3 3fg, 2-2 ft), 9 assists, and 1 rebound. 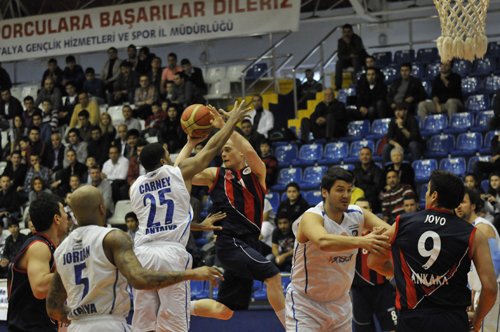 Our next game is on Saturday vs. Erdemir on the road. We will have to be ready to compete and play hard. Looking forward to playing again. Good morning from Turkey! Quick update on our game last Saturday vs Aliaga. We won a very important and exciting game 80-76. The win was huge for us and it ended our 2 game losing streak. Our record stands at 12-11 and still in 7th place. We really moved the ball well and played as a team, which led to four guys in double figures. I had my first double double of the year with 14 points (1-5 2fg, 1-3 3fg, 9-12 ft), 10 assists, and 7 rebounds. 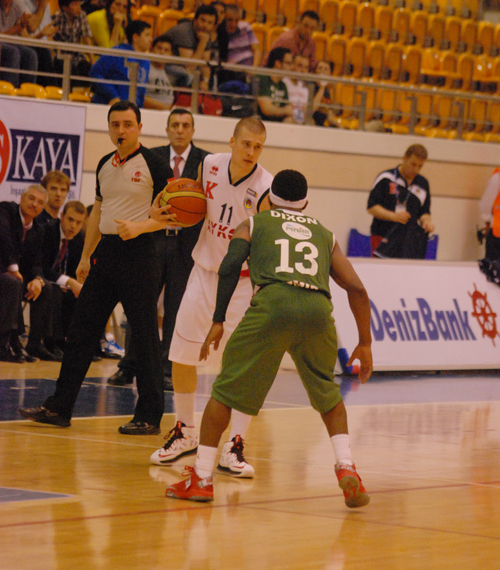 Our next game is on Sunday vs Efes. Efes is a very solid team and it will be a tough game for us. They are currently tied for 3rd in the league. I am looking forward to heading up to Istanbul this weekend. Good morning everyone! I wanted to fill you in on our last couple games. We have dropped 2 straight games now. First we lost to Galatasaray who was in 3rd place at the time 86-94. For 3 1/2 quarters we played solid ball. We just couldn't pull out a win at the end. That game I had 14 points (1-5 2fg, 4-5 3fg) 8 assists, and 3 rebounds. The following week we played on the road vs Antalya and lost 93-100. We played terrible defensively and could not manage to get any defensive stops when we needed to. Letting a team score 100 points is unacceptable. I had 17 points (4-8 2fg, 2-5 3fg, 3-6 ft) 9 assists, and 4 rebounds. Hopefully we can get back on track for our game tomorrow vs Aliaga. Our record stands at 11-11 still in 7th place. Looking forward to playing again this Saturday. Good afternoon everyone! Sorry for not keeping you in the loop as much as I would like. I have had the pleasure of having my mom and sister over here visiting this past week. It has been amazing getting the chance to see them again and show them the country of Turkey. We have been showing them all around Ankara, taking them out to eat, and enjoying quality time together. My wife and have I been blessed to see her parents, my parents, and sister this year. 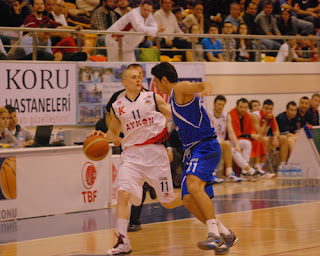 On the basketball side of things we had a game last week vs Hacettepe. We came away with a 92-85 win. It was a hard fought game by both teams. This win puts our record at 11-9 and in 7th place alone. In this game I had 17 points (3-4 2fg, 3-4 3fg, 2-2 ft), 9 assists, and 3 rebounds. Our next game is tomorrow, which my mom and sister will be able to watch. We are hosting Galatasaray out of Istanbul. They are currently in 3rd place in the league. It will be a tough game for us but we are looking forward to it.